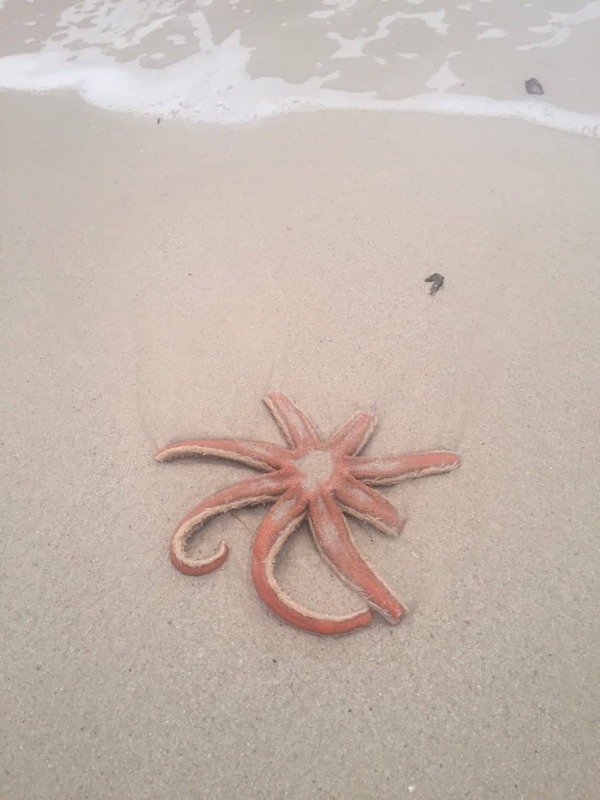 These starfish were found washed up on the beach at Achmelvich (NC0524) on 21st and 22nd November 2018, when they were photographed by, respectively, Les Pearce and Jorine van Delft. They appear to be two different individuals of the same species, albeit not the Common Starfish Asterias rubens, and unusually both have eight arms. 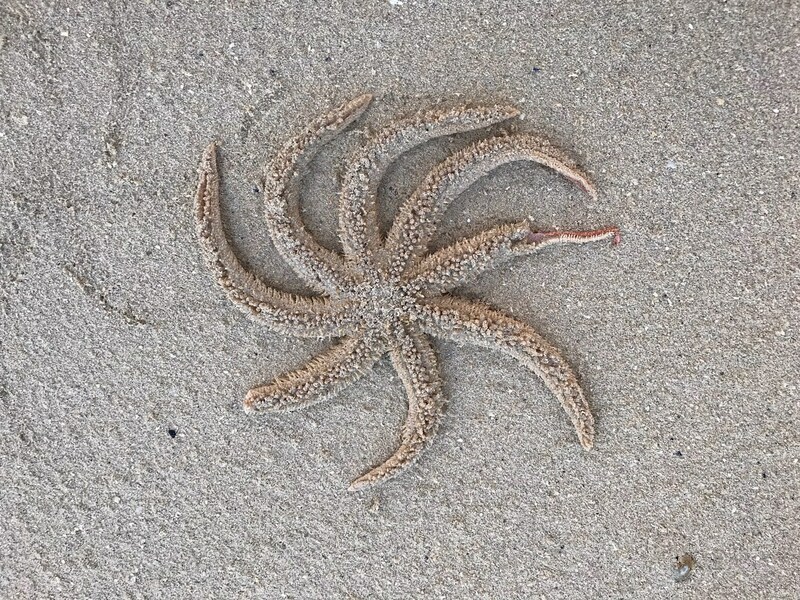 Mike Kendall has identified them as examples of the Seven-armed Starfish Luidia ciliaris, which have been damaged and regenerated extra arms. This species can grow to 60cm in diameter, but is somewhat fragile. In life it is brick red in colour, with arms that taper just at the ends and bear a fringe of white spines. 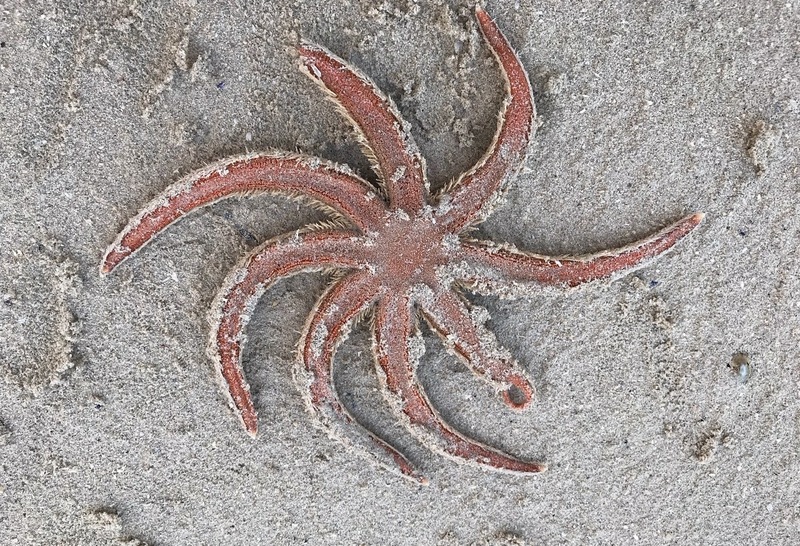 It inhabits sandy and gravelly areas on the sea bed down to 400m, and preys almost exclusively on other echinoderms, especially brittle stars and sea urchins. The ability to ‘walk’ on the tips of its arms helps it to hunt them. It is found round the coast of most of the British Isles, including the Highlands and Islands, but appears to be uncommon hereabouts.